Cutting illustrations into equal parts, the task is not especially complex, but quite laborious and time-consuming. Especially if you do it manually. Luckily Adobe Photoshop allows us to cut the illustration into any number of equal parts automatically. And literally in seconds and with high precision. Open the image you plan to cut (Ctrl+O). When the file opens, make sure the image is enough workspace is gray. This free space will make easier the next step. Select the tool "Cutting" (press K). It is marked by a red circle in the screenshot, and use it to select the image. 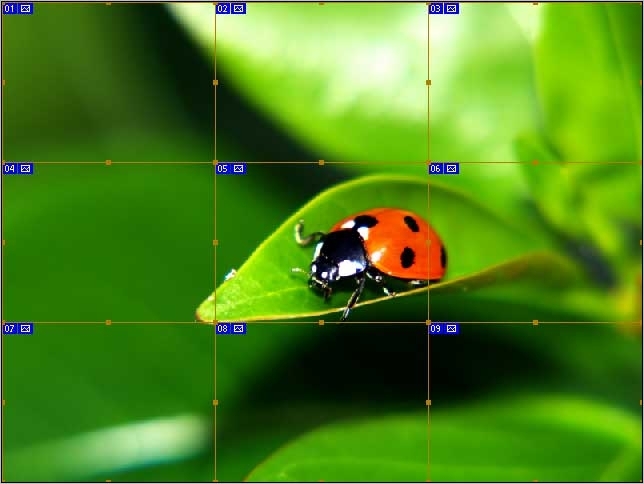 Move the tool to the upper right corner (here grey space will come in handy – feel free to "grab excess" beyond the border of the picture) and pull down diagonally to the bottom left corner. Do not forget to hold the left mouse button. If you do it correctly around the image to appear thin frame, and in the upper right corner of the label is blue with the number "01". From the context menu select "Divide slice" in the English-speaking version of "Divide Slice"). 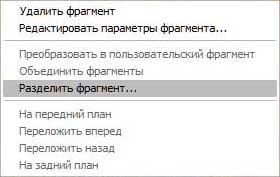 To open the context menu, just right click within the image with the right mouse button. The result should open a window similar to that depicted in the screenshot. This window is divided into two areas: "split horizontally" and "split vertically". To access the options you need to tick the box next to the corresponding points. There are two options for cutting the pictures into equal parts. You can specify either the number of required output parts, and then the program automatically calculate the size of each of the fragments, or you can specify the size of the fragments, and in this case, the program will independently calculate their number. In this example, the picture will be cut horizontally into three parts, and three parts vertically. Thus, there are 9 fragments. Specify the necessary parameters of the cutting (either number of fragments or their size in pixels and click "OK" to accept the changes. To do anything else is not required. It is enough to keep already cut into equal parts the picture. In most cases it is recommended to save images "for Web and devices" in jpg format. You will receive a specified number of fragments – each in a separate file. By default, they are placed in the folder "images", which Photoshop creates automatically. 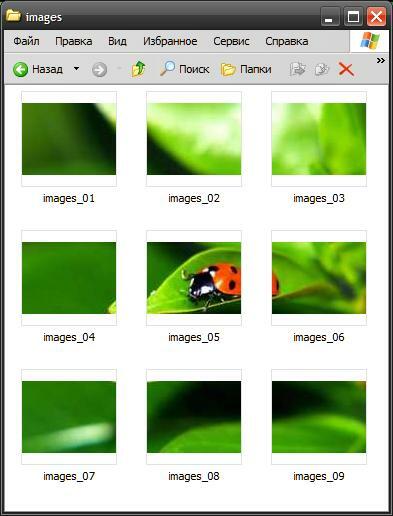 All files inherit the name of the original image appended with the sequence number (*_01, *_02, *_03 and so on).